We warmly Welcome visitors to our beautiful city. We are conveniently located in the heart of downtown Salt Lake City close by temple square, the Salt Palace Convention Center and we are right next to the City Creek shopping center. 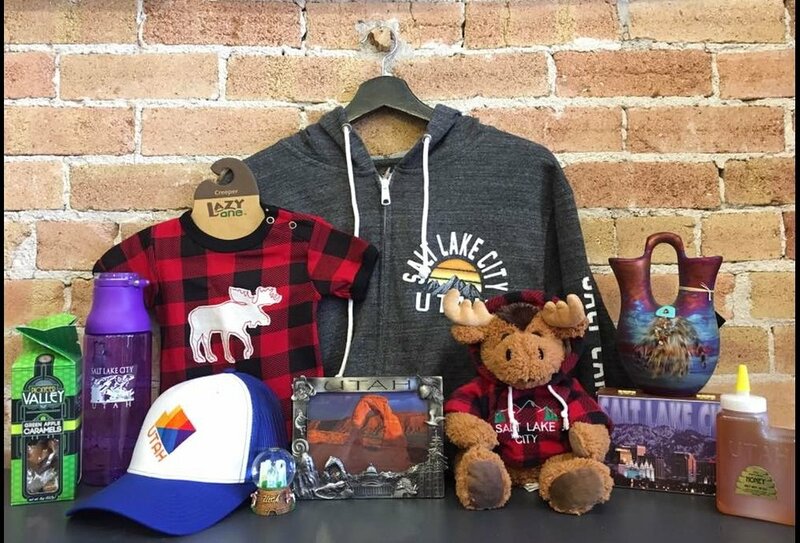 We are proud to offer Utah's BEST selection of Salt Lake City apparel, souvenirs and collectibles. We also carry Utah made products as well as awesome and unique gifts. Our business is proud to be family owned and operated. Our amazing new store is a perfect representation of Salt Lake and Utah. We are so excited to be located in the historic Crandall building. Come check us out! We have something for everyone!